Colorado Marijuana Laws: What's Still Illegal? But you can still be arrested and charged with marijuana crimes. The key to enjoying your pot without risk of arrest lies in knowing the laws. If you are at least 21 years of age, you can possess up to one ounce of marijuana in the state of Colorado. You can also grow or cultivate up to 6 plants and even give marijuana away to other adults (but don’t exchange money; that would be considered a “sale”). 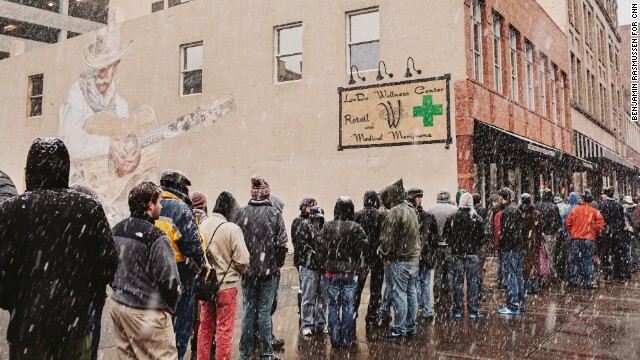 With marijuana shops opening their doors in 2014, it’s now easier than ever to obtain legal marijuana. You can walk in, discuss how you want your marijuana to affect you, and be led to the proper strain by cannabis connoisseurs. But law enforcement and state officials will be watching closely to ensure this freedom isn’t taken for granted. What could lead to a marijuana arrest? Smoking in public. Using marijuana in public is still against the law. You cannot smoke or eat cannabis while on public property. In the city of Denver, residents are able to indulge on their front porch or in their yard, but this same determination has not been made in other cities: If you smoke in view of the general public (even if you are on private property), you could risk arrest. Possessing more than one ounce. The marijuana laws only allow for the possession of a single ounce of pot. Anything over this limit could result in criminal charges. Selling marijuana. Marijuana purchased from dispensaries may be more expensive than that found on the black market, but attempting to enter the business by selling to bargain-hunters could result in a prison stint. Driving while high. Driving under the influence of marijuana is illegal. The law is controversial as it assumes anyone with a blood THC level of 5 ng/ml or more is inhibited and shouldn’t be behind the wheel. Skiing while high. Yep, skiing, snowboarding, and even getting on a ski lift while high is considered illegal. 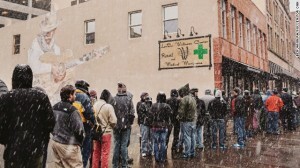 This is despite numerous tourism companies offering ski-vacations that are “cannabis friendly”. Moving marijuana across state borders. Once legal pot leaves Colorado, it is no longer legal and you could be charged with trafficking. Highway patrols in neighboring states will be on the lookout. Nebraska and Wyoming in particular have been quite humorless about the prospect of people driving across the border with weed. Providing marijuana to people under the age of 21. Like providing alcohol to minors, you shouldn’t be sharing pot with kids. Marijuana may be freer than ever before, but it is still tightly regulated and closely watched. It is still very very illegal for patients living in Federally subsidized housing in Colorado. We are being told (yesterday) to go across the street and impossibly to store the medicine off the premises. Elderly & disabled with walkers wheelchairs in the snow?!?! The American Disabilities Act doesn’t apply to us under “reasonable accommodations”?? That is terrible. This law does a lot of good, and improves the status quo tremendously, but is not perfect. Maybe your legislators can help? The next battles after criminalization is finally off the table will be in the arena of marijuana civil rifghts. People should have the right to medicine without being discriminated against. If they happen to live in Federally subsidized housing. They shouldn’t be at risk for firing from their jobs if they fail a drug test due to medicine, or at risk of losing their kids in family court. There are battles yet to fight, I’m afraid. In Washington, we have a similar law to Colorado’s and we’re debating the fate of medical marijuana. There are legitimate reasons to preserve it, but the state seems inclined to drop it. What happens to people under 21 who need marijuana? What is Colorado doing about that? Colorado is keeping the medical marijuana laws for that reason: For under 21s, and avoiding the taxes. But that is very unlikely to happen. The best case scenario for the near future is that the Feds remove marijuana from Schedule 1, and defer to the states for all local enforcement. I’m sorry Beth but that would inhibit the pharmaceutical companies from getting ungodly amounts of money. Not just those companies but any company that deals in cancer will lose out big. Greed’s the problem here.